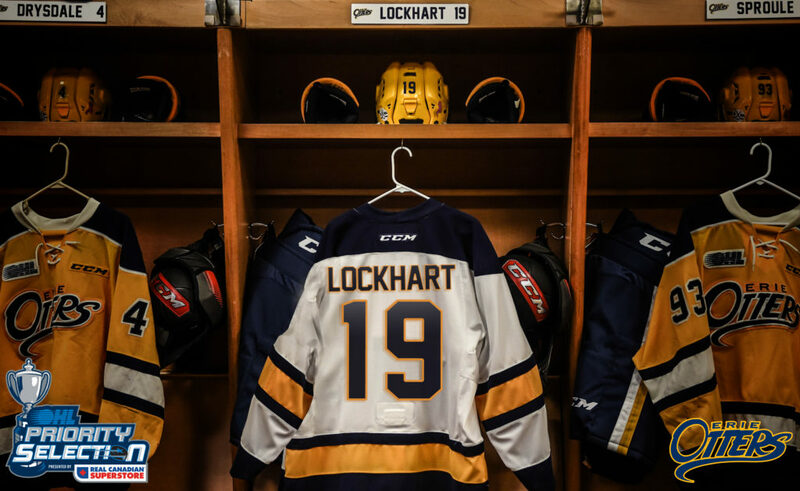 Erie, Pennsylvania – The Erie Otters Hockey Club is pleased to select Kanata Lasers forward Connor Lockhart with the third overall choice in the 2019 Ontario Hockey League Priority Selection presented by Real Canadian Superstore. Lockhart, a 5’7”, 161-pound forward, appeared in 41 games for the Kanata Lasers of Hockey Eastern Ontario where he produced 79 points (30G-49A) to tie for the league scoring title. The 15-year-old recorded 49 assists during the 2018-19 campaign to lead HEO and help earn Lockhart HEO Midget AAA Top Rookie honors for the season. A Kanata, Ontario native, Lockhart served as an alternate captain for Team Ontario at the 2019 Canada Winter Games, winning a silver medal while posting four goals and seven points in six games at the tournament. The 2019 OHL Priority Selection marks the first time in Erie Otters history that the team has selected third overall. In the team’s 23-year history in Erie, the Otters have selected in the top-five seven other times, including 2018 fourth overall choice Jamie Drysdale, as well as selecting first overall twice (Connor McDavid – 2012, Ryan O’Reilly – 2007) and second overall twice (Dylan Strome – 2013, Greg McKegg – 2008). Season memberships for the 2019-20 season are on sale now and can be purchased in person at the Erie Otters front office located at 201 E. 8th Street in Erie, or by calling 814-455-7779. Take advantage of advanced ticket pricing through May 31st when you make a deposit on your ticket package. For the latest Otters news, visit www.ottershockey.com, or follow the team on Facebook (www.facebook.com/erieottershockey), Twitter (@ErieOtters) and Instagram (@ErieOtters).